This past Friday I was given the honour of delivering a keynote dinner talk at the 2010 Canadian Obesity Network's Student Meeting. 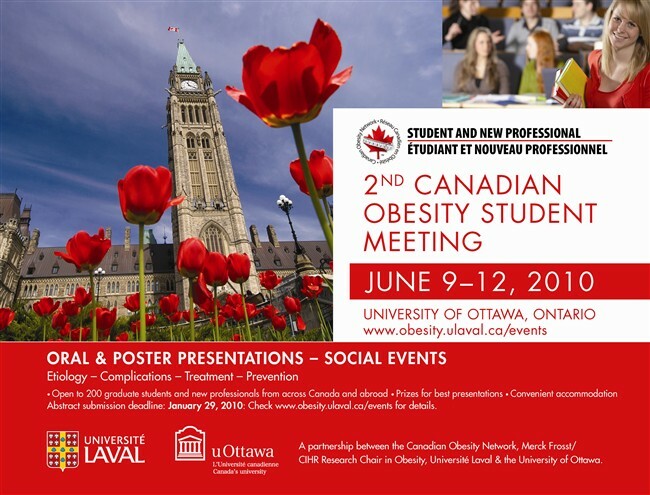 The meeting brought together the future of Canadian obesity research and the bright eyed enthusiasm there was a joy to see. Unlike much of my blogging, the talk I gave wasn't particularly inflammatory. I called it, "Adventures of a Loudmouth" and by means of examples from my life I encouraged the students to be vocal advocates for those things they believe in. Ultimately that's what drives me to write this blog. Some folks have said I write it to encourage patients to come to my office, but in the 5 years I've been blogging, and of the thousands of folks I've met in my office, I can only remember one who said the blog brought them there. Other folks have said that I write it to be "popular"or for "fame", yet I have zero doubt that my writing this blog has closed more doors to me than it's opened. The answer's much simpler. I write it because I believe that it's incredibly important to speak up about those things that matter to you. I write it because I believe it's one of my responsibilities as a physician to advocate for better health. I write it because I believe that shining a spotlight on programs, policies and attitudes that either willfully or inadvertently make it more difficult for consumers to make healthier choices for their families is something that I must do given that many of those who might want to speak up, are silenced by their institutional and professional ties which preclude them from biting the hands that feed them. Ultimately I write it because I love to, and just as I did during the early days of the blog, I'd write it even if virtually nobody read it. After the talk was over Diane Finegood asked me a very fair and relevant question. She asked me if I ever consider the unintended consequences of my blogging. I don't doubt my blog has hurt some good people, and I'm genuinely sorry about that. I don't doubt that from time to time some of my posts have been over the top and more angry or personal than they needed to be and I'm sorry about that too. But what I can't be sorry for is speaking up about what I believe in and it's something you shouldn't ever be sorry for either. Live the life you want your family to live, and relish every minute of it. Adventures of a Loudmouth: Leveraging your initials into advocacy from Yoni Freedhoff on Vimeo.